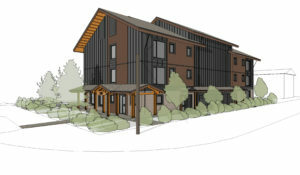 19 Unit Independent Living Facility with common facilities and program spaces. 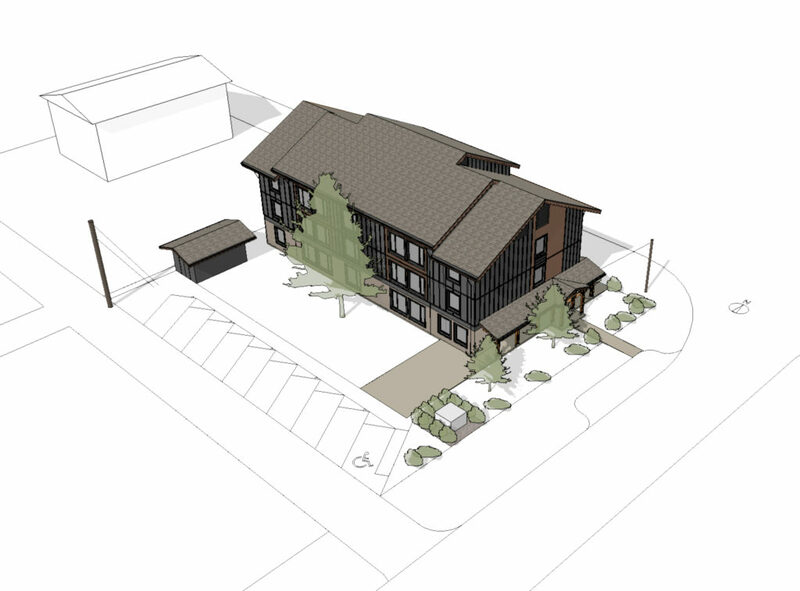 Designed in a contemporary style that is befitting of the Town of Smithers’ ‘Alpine Theme’ locale, the building utilizes a simple rectangular plan and dominant roof forms with large overhangs. 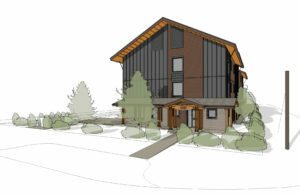 The building is clad with a simple palette of durable cementitious materials to deal with the climate and utilizes large tilt & turn windows for solar gains to the South. Located in PHPP Climate Zone 2 (cold), the building utilizes an externally insulated raft slab, highly insulated double wall assemblies with batt and XPS insulation achieving U-Value 0.104W/m2K and a blown cellulose roof space achieving U-Value 0.075W/m2K. (Figures accurate at current status of design and at time of writing). Highly efficient Paul Novus HRV’s provide the ventilation heat recovery and CO2 heat pumps provide the primary source of hot water with electrical backup.